We have combined Motion Backgrounds Volumes 1 & 2 to give you a great selection of 150 motion backgrounds that you'll use again and again. 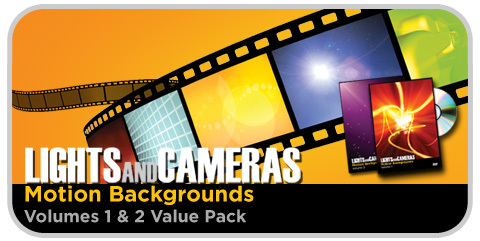 Just think, 150 motion backgrounds for only $39! We've provided an mpeg version and DV version of each background, and select backgrounds are available in High Def, for more flexibility when using the software of your choice.